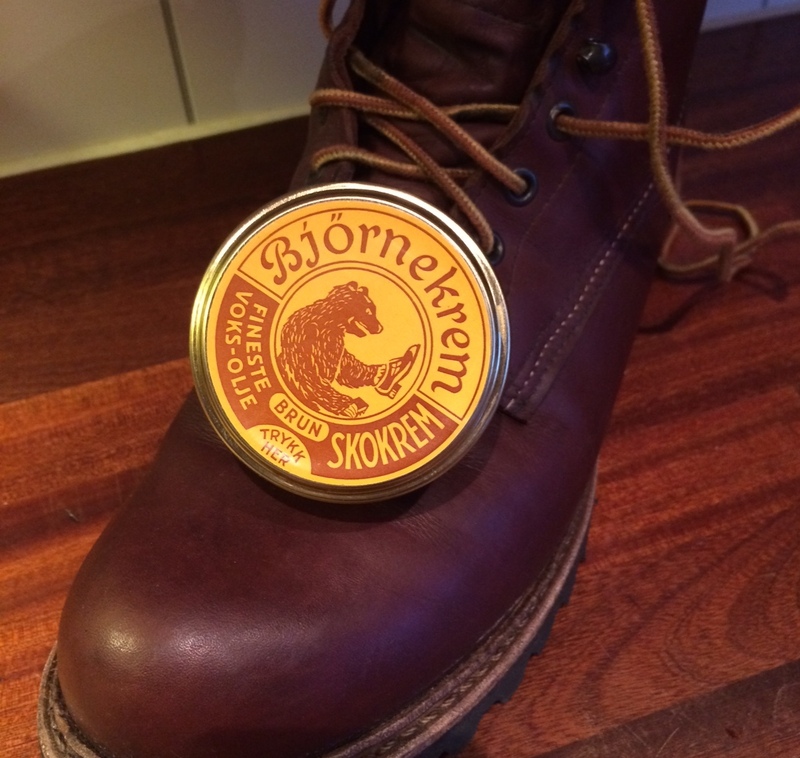 Bear Creme, traditional Norwegian shoe polish - Well Dressed Dad - It is a proper menswear blog. Like, with original words and opinions and suchlike. When visiting the Ætt pop-up shop in Bergen recently, I was made aware of part of their exhibition that dealt with the locally produced products. With the way the world is today, almost all of these were now dead in the water or with production outsourced to low cost countries. 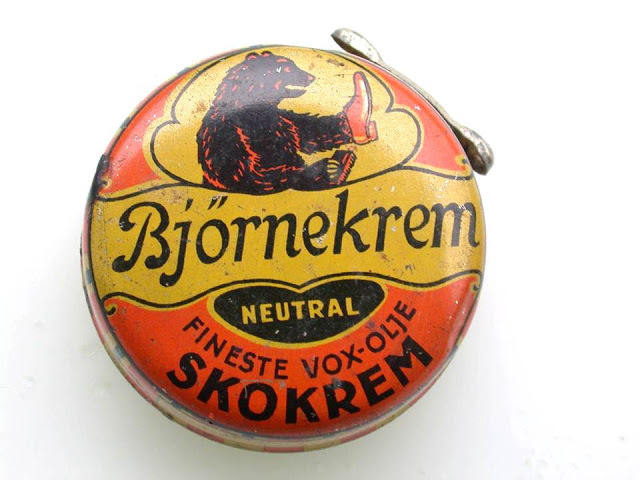 One shining exception is the locally made brand of shoe polish, Bjørnekrem, or bear creme in English. 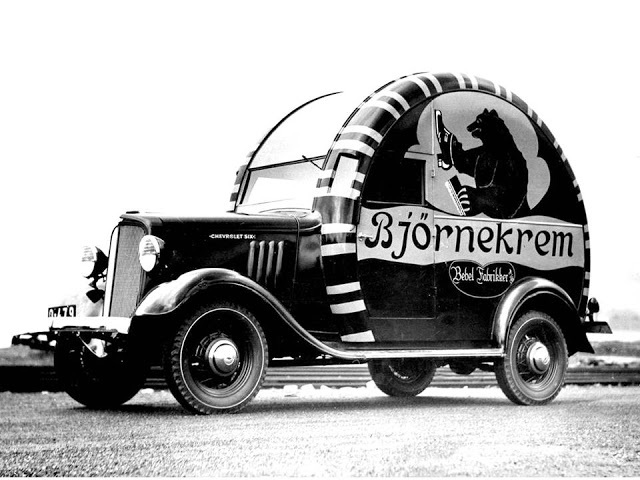 With a local history and continuous family production for 85 years, it’s quite the establishment in Bergen at least! I’m a sucker for stories, or more accurately histories, such as this, so I had to buy a jar to try on some of my shoes. Said to contain 7 different natural waxes, and no silicone at all, mixed to a long-standing and secret recipe, it certainly smells the part. 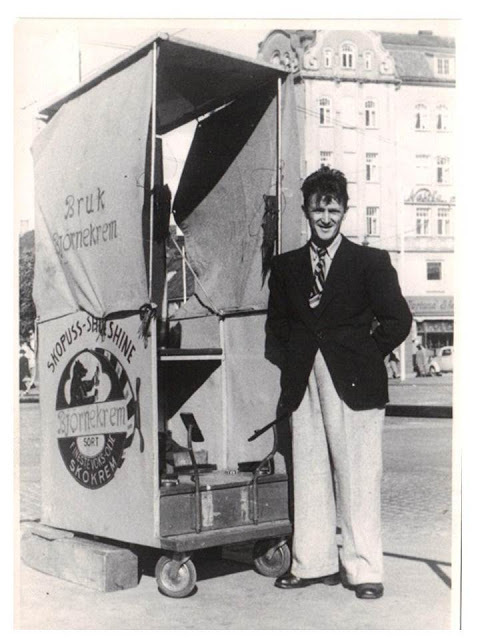 The same family that has made it for 4 generations has also at times operated shoe-shine stalls in Bergen, so the product has been very practically researched and developed. The fact that is has been developed for use in Bergen is significant. Bergen being one of the most rain-prone cities in Europe (and hence the natural home to Norwegian Rain raincoats) means that unless you want to use wellies all the time, you need to have some proper stuff to put on your leather footwear to ensure they are kept in good order. I especially like the fact that there is no pore-clogging silicone in this wax. I’ve used the Bear Creme on my Red Wings with good effect now, and have also applied some to both my lucky brogues and another pair of brogues. It smells terrific (so much so that WellDressedGirlfriend asked me to kindly maintain my shoes outside) and the brown polish did wonders for the deep brown hue of the leather. I’m waiting for Scratch to get back to me with the results of trying it on a pair of his classic leather boots. 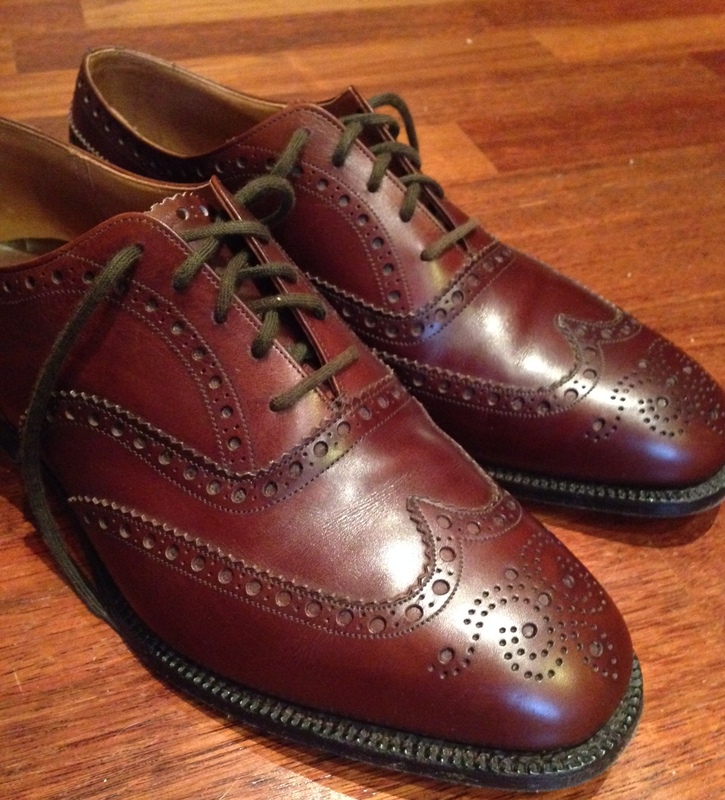 Custom grade Church Chetwynd brogues, buffed up nicely! There are no end of products claiming to offer salvation for your leather footwear and it can be difficult to know which is good and which is not so good. I don’t mind placing my faith in a company that has been behind their product for 85 years. That really takes some beating! Like many good things though, it can be hard to find. If you find yourself in Bergen, it might be a good idea to stock up. Sadly I am yet to use this gear myself. Although it has been deployed to admirable effect on my wife’s dark brown Paraboot Avoriaz’s. It seems like proper stuff to me and you’re right, it smells wonderful.